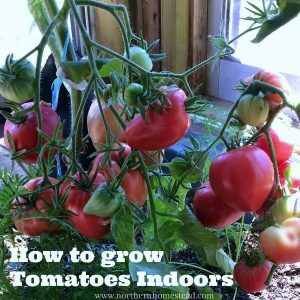 Growing tomatoes in cool climate is a challenging and fun thing to do. We grow mainly heirloom tomatoes. Every year we try some new varieties and choose from those that have proven to be great for our garden. And there are so many to choose from. Not all tomatoes are the same. Some ripen faster and tolerate cool weather better than others. 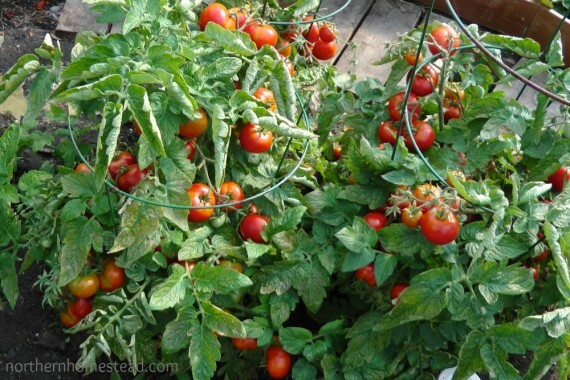 Generally, determinate or dwarf tomatoes are earlier and better suited for outdoor growing in cold climate. 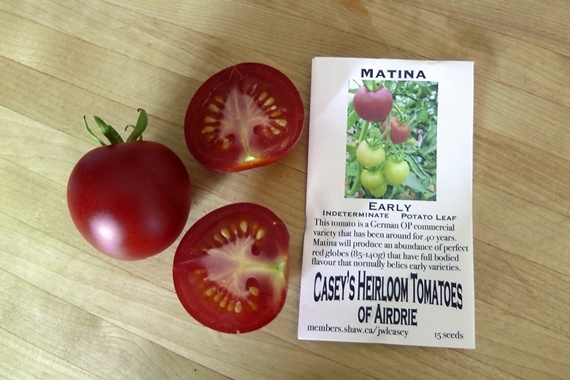 Caseys heirloom tomatoes catalog has a guide to the best (non-cherry) tomatoes to grow outdoors in Calgary (zone 3a) and also a guide to the best tomatoes to grow in pots. You might find your favourite variety on that list. This is an incomplete list of tomatoes we have grown over the years. Some of these are our favourites that we continue to grow every year, while others, even though good too, we have dropped because we can’t possible grow all of them. Some have never even made the list because we are very picky on varieties we grow. For a tomato variety to become our favourite it has to perform great. 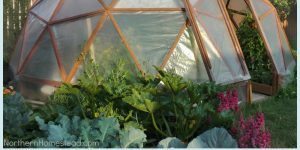 Our growing conditions in cold climate are very challenging, to deal with even more challenges because of the variety is not what we want. Still, some of those that have not made the list of our favourites might become a favourite for you. 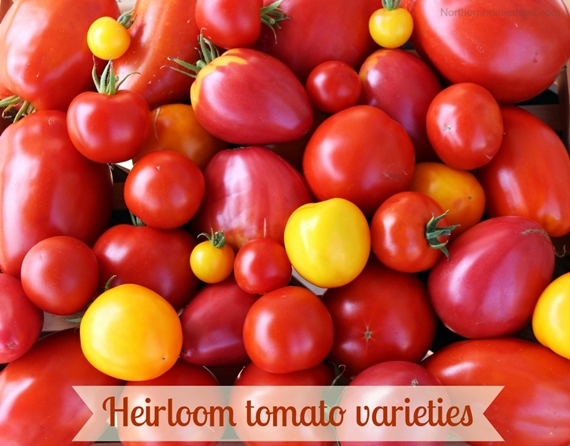 There are so many great tomatoes to choose from and try. Tomato varieties are roughly divided into bush and vine type plants. All determinate, semi determinate, and dwarf plants make a bush, and all indeterminate tomatoes are vine. Normally your seed package will tell you what you got. 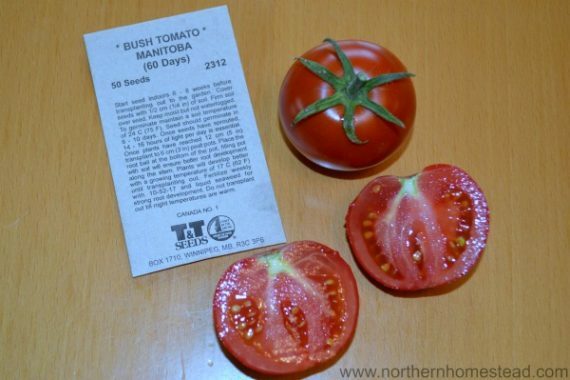 If in doubt, just google your variety and you can usually find lots of information on what type of tomato it is. 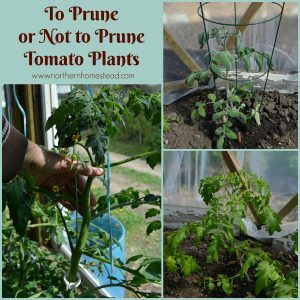 Both bush and vine type tomatoes can have fruit in all sizes. 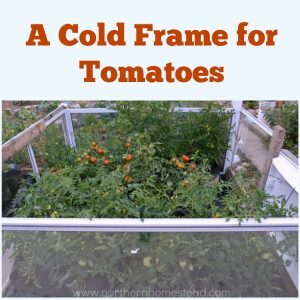 But bush type tomatoes are mostly earlier and easier to grow in a cold climate. 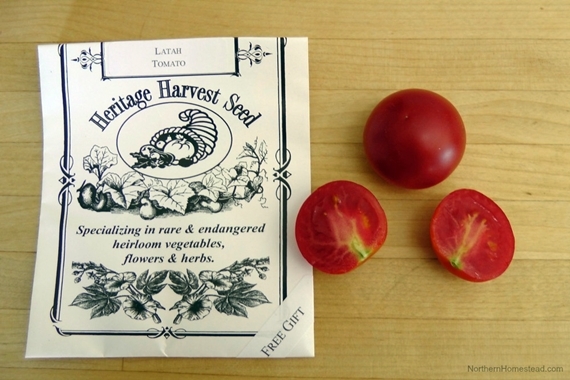 Latah was a gift seed package from Heritage Harvest Seeds. 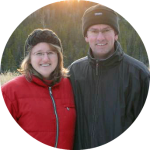 It was developed at Latah County at the University of Idaho. It often is the earliest tomato in our garden. The fruit is bright red and averages about 2 inches across. The flavour is good (very sweet) and better than many of the super early varieties. Latah will grow to be a vine bush. Some call it determinate and others indeterminate, with regular leaf foliage. Matures 50 days from transplant. Because of its earliness we keep growing it. A Hungarian dwarf tomato that will grow only about 40 cm tall. 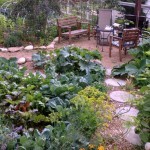 However, if planted in good soil, we have found that it will grow a bit taller and will be loaded with fruit. 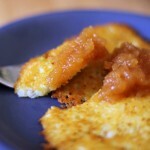 Very flavorful and early tomato – very sweet with a nice tomato finish. The globe shaped fruits usually weigh 50-60g. 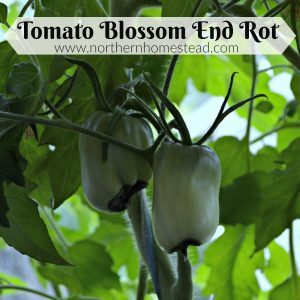 Grows well in containers and even better in the ground. 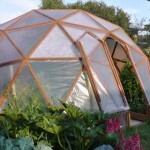 Can be outside the greenhouse. A favourite! 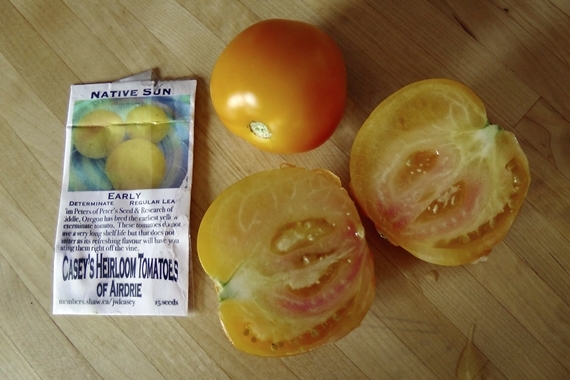 Native Sun is the earliest yellow determinate tomato. Yum-yum, lots of delicious tomatoes. It’s supposed to be a poor keeper. I could not tell since we eat it so fast, often directly from the vine. Native Sun also looks and tastes great in a salad with dark greens like kale. 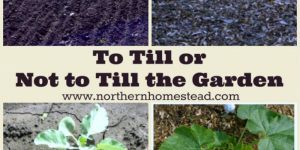 Even though we like it so much, I often only grow one plant because it is so productive that we do not need more. Native Sun also grows well outside the greenhouse. A favourite! Early Annie was a first for us this year and it immediately became a favourite. 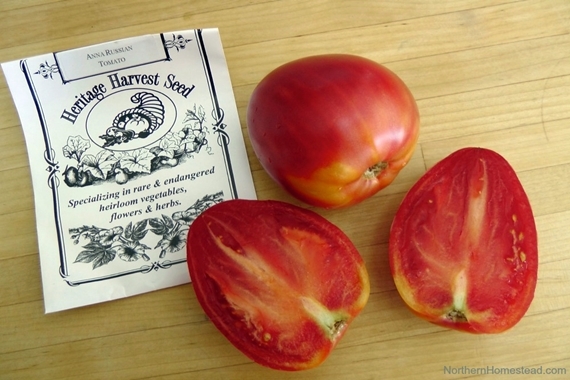 A short determinate heirloom variety that produce high yields of 4 oz., round, meaty fruits with few seeds. Particularly good for canning. Fruit sets all at once. Early Annie is an exceptional tomato combining earliness, productiveness, and beautiful, medium sized, blemish free orange red fruit. Determinate, regular leaf foliage. Matures within 65-70 days. A favourite! 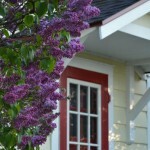 This bush type variety was developed for the prairies of Canada. 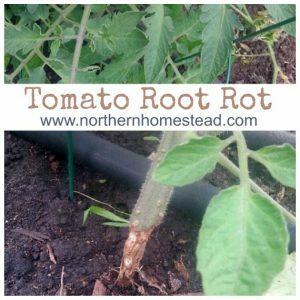 It is a hearty, northern tomato that thrives in cool season. 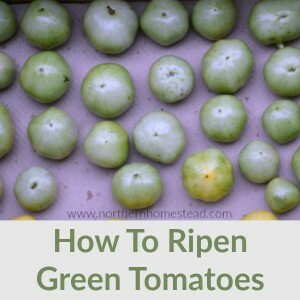 It produces well and early in the season and has a tangy taste that is great for canning and preserving. Matures 6o days from transplant. 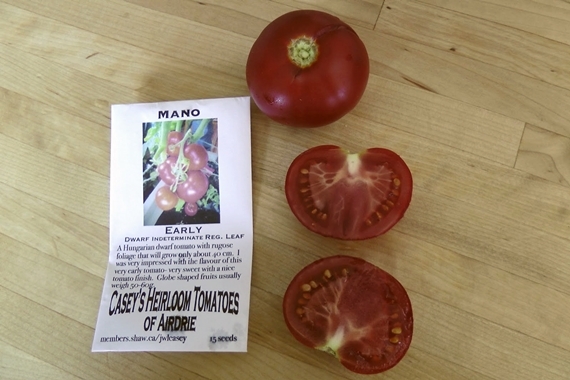 Manitoba was close to becoming a favourite, but then we tasted Early Annie, a very similar tomato that suits us even better. 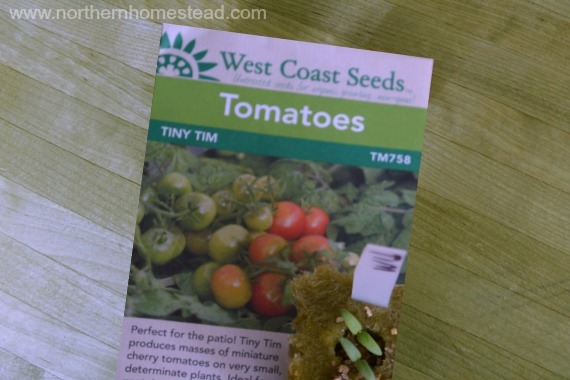 Tiny Tim Heirloom miniature cherry tomato variety was introduced by the University of New Hampshire in 1945. This small, tidy, determinate plant with deep green leaves typically grows to 20 – 40 cm (8-16″) tall and 17 cm (6 1/2″) in diameter if planted in full sun. 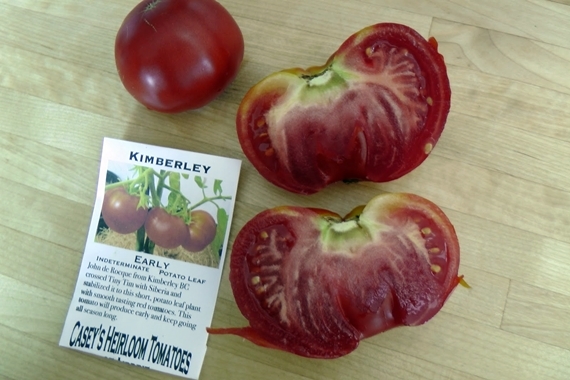 Tiny Tim will thrive in less sunlight than other varieties, however fruit yields will be less and growth larger and less tidy. Determinate (bush type). Matures in 60 days. 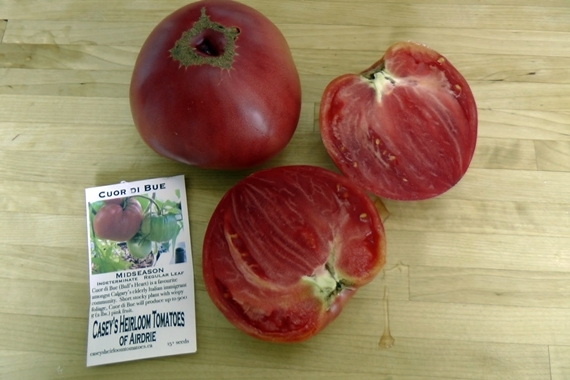 Cuor di Bue or Bull’s Heart surprised us with a 2 lb 4 oz tomato! That is lots of tomato in one fruit, and it was all good and yummy! A favourite! 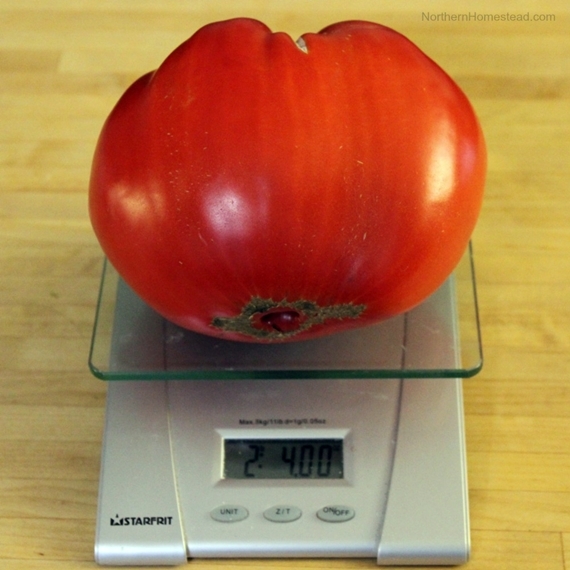 Summer 2018 – we have a new winner: 3lb 8.10oz Bull’s Heart tomato. Anna Russian – I ordered the seeds just because I could not resist the name ;). A wonderful heirloom from Brenda Hillenius of Oregon, whose grandfather had obtained seeds from a Russian immigrant. The heart shaped fruit are pinkish red. The flesh is sweet and juicy. Very high yields and also very early. Indeterminate, regular leaf foliage. Matures 65 days from transplant. We grow Anna Russian indoors to have very early tomatoes. A favourite! Red Brandywine is an extremely reliable producer of large – 8-12 oz (225-340 g) – perfect red globe fruit. The taste is deep and rich. It is a beautiful, sturdy indeterminate plant. A favourite! This tomato is a German OP commercial variety that has been around for 40 years. Huge plant, full of tasty little tomatoes. Definitely an early variety! I think in mid July the first ones were ripe in a greenhouse. Certainly worth it to grow. If you are into fermenting tomatoes, this one works very well because of the more firm skin. 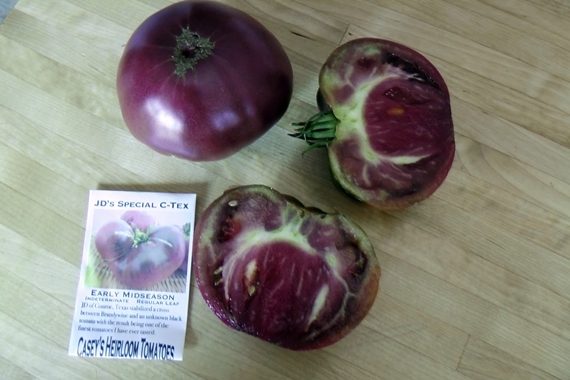 JD of Conroe, Texas, stabilized a cross between Brandywine and an unknown black tomato. A red/black early and tasty tomato. I have been successfully growing this one outside the greenhouse, in a south facing sheltered location. 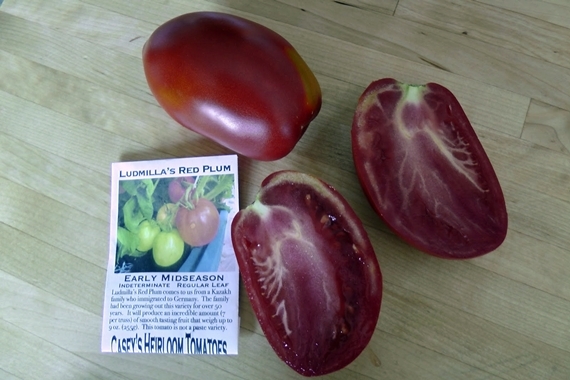 Ludmilla’s Red Plum comes from a Kazakh family who immigrated to Germany. The family had been growing out this variety for over 50 years. It will produce an incredible amount (7 per truss) of smooth tasting fruit that weigh up to 9 oz. (255g). 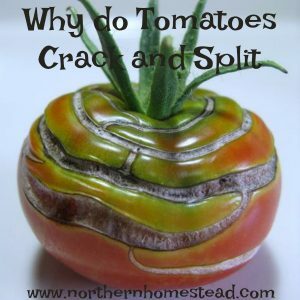 This tomato is not a paste variety. We have grown it for years, but it still has not become a real favourite. 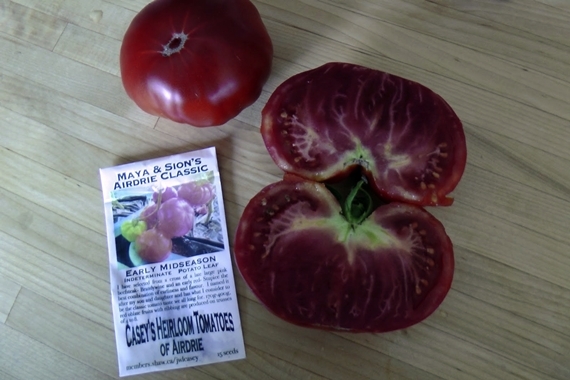 A cross of a late large pink beefsteak – Brandywine, and an early red- Stupice, this tomato has the best combination of earliness and flavour. It is named after Caseys heirloom tomatoes’ son and daughter. 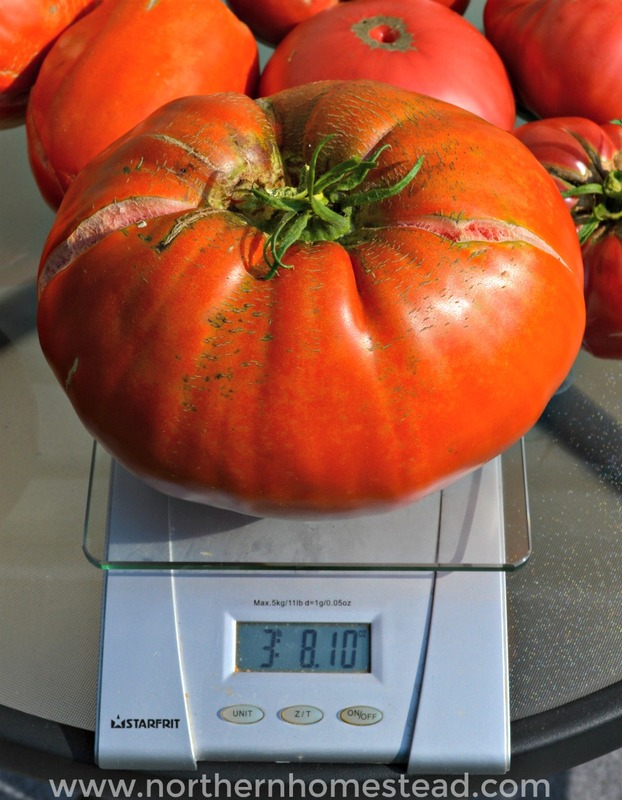 170g-400g, red oblate fruits with ribbing are produced on trusses of 4 to 8. Beautiful tomatoes! I miss them already! I am always looking for new varieties, I would buy the entire seed catalog if I could! Well, it looks like I am already growing at least half of a seed catalog ;). 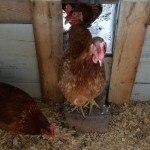 But more and more we select which ones we actually really like and are worth growing. And we still have lots and lots in the basement after ripening, so I think we will eat homegrown tomatoes for another month. I love heirloom tomatoes. Nothing Nothing tastes better. You have listed varieties I’ve not tasted. My mouth is watering!! My goodness, I want a tomato sandwich now! Beautiful pictures of your tomatoes. 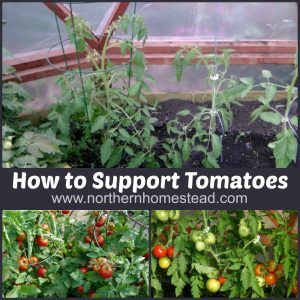 We have not had good success with growing tomatoes the last few years. They just don’t get any size to them at all! Thanks for this article, I have bookmarked it. 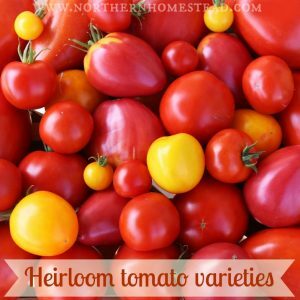 I love heirloom tomatoes and will look into some of the varieties you mentioned. Your pictures are beautiful! There is nothing like a home grown tomato! My family always had a massive garden when I was growing up and I was always looking forward to eating that first tomato. Thanks for sharing all the different varieties. Now I’m craving a tomato sandwich! I have to tell you how very appreciative I am of this list. I have a mild allergy to raw tomatoes but absolutely love cooking with them, and homemade tomato soup, rather high up on my favorite things list. I like my pizza and spaghetti sauce bases to be rather sweet (mostly because I tend to put lots of spicy things with it) but because I can’t taste the raw tomato for sweetness I’m often just shooting in the dark. Now, thanks to you I have a much better Idea of what I should be looking for. You’re welcome Ricki. One of my Bull’s Heart would be enough for 2 jars of pizza sauce for sure ;). Beautiful! 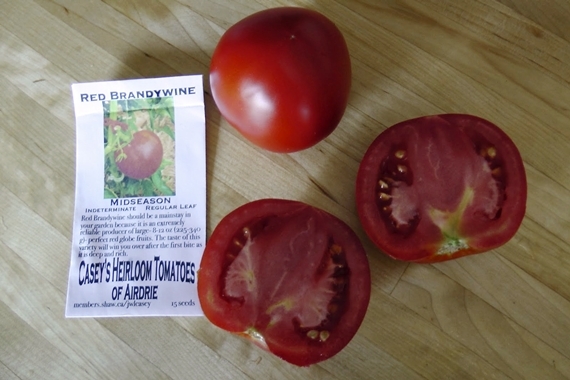 We had our first frost a couple of days ago, so mine are done:( Brandywines are my favorite for eating raw! 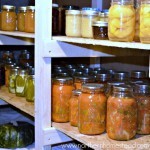 Do you have a favorite meaty variety for canning? Bull’s Heart is a great tomato for making salsa. If you think of canning whole and eat whole, I like Matina. Anna Russian would make a great meaty canned tomato. Hope this helps. Those are some beautiful tomatoes! You know how much I know about tomatoes? I planted what I thought were those big gorgeous steak tomatoes. I was planning on making salads out of them with fresh mozzarella cheese and balsamic vinaigrette…YUM. When they started growing, guess what they were? Cherry tomatoes. Dang it. My hubby loved snacking on them. I was so disappointed. Seeds store well for many years. Just have them dry, dark and cool. So you can grow 5 Plants 3 years in a row from each 15 seeds package. Does that help? 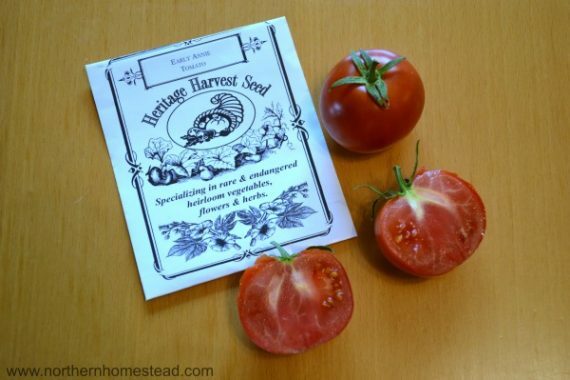 what see companies can you recommend for heirloom seeds in Canada? 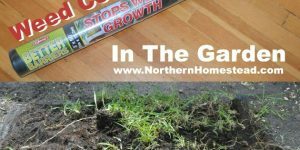 Hi Jenny, I have a post for this: Getting seeds for the new growing season Hope this helps. I am glad to encourage you! Some of the heirloom tomatoes are really tasty. 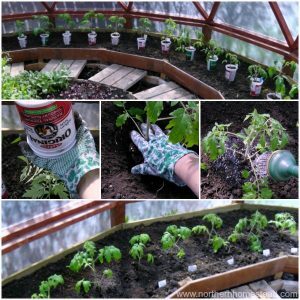 I find it so hard to only plant a few varieties of tomatoes! Every year I tell my husband I will plant less, and then I just choose my favourites, but it still ends up being about a dozen different kinds! And of course I have to try at least 1 or 2 (or 3!) new kinds 🙂 It is so much fun to grow! I love your list and saw many kinds I have never heard of. 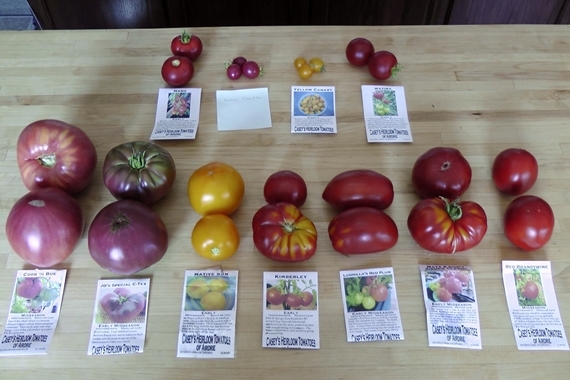 Now I have some more to consider for next year 🙂 One of my favourites for early tomatoes (I grow in zone 3) is Glacier and Sasha’s Altai (okay I guess that is two). They have reliably been the first tomatoes to ripen in my garden. I have never heard of Glacier and Sasha’s. Now you added two to try to my list ;). This year we grow Manitoba for the first time. I know, it is a well known variety, but we haven’t tried them before. So far I like them. Thanks for showing your garden and the produces of different kinds of tomatoes. which I look in the store the coming season. I live in kitchen,canada our season was not good all over. My neighbours all had not great season because too much rain. Thanks and have great weekend time to clean the garden now. Hi Anna, Well, I grew a good cherry tomato plant this year and I didn’t do anything, except trim it back to keep it from taking over. It came up in last years compost. Couldn’t tell you what name it was, but it was absolutely divine. I had the weirdest garden this year, planted 3 zucchini that were so late producing, but seed-overs from previous years decided to pop up all over. Cucumbers, pumpkin, Swiss Chard, cilantro, tomato….I think I work to hard by trying to put all the pretty ladies in a row.